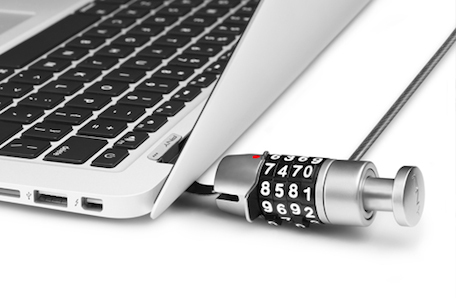 PNY ThinkSafe MacBook Locking System: Perfect for those MacBooks without Kensington lock slots. Finally, I have a way to lock my 13-inch MacBook Pro with Retina display to a heavy metal chair, thanks to the PNY ThinkSafe MacBook Locking System(MSRP of US$29.99, generally available for less than $20). Back when I got my first 13-inch MacBook Air shortly after they arrived on the scene on January 29, 2008, I was thrilled about the design — it was thin, light and quiet. But there was one thing that bothered me — there was no Kensington lock slot on the side or back of the device that I could use my lock with to anchor it to hotel furniture. Since then, my solution has been either to lock the MacBook Air in a hotel safe (that actually worked very well with the 11-inch Air I bought later) or carry it with me everywhere. One of my cohorts pointed me toward MacLocks, but I had two problems with that solution. First, they were charging $59.99 for the product and second, it required screwing a case to my MacBook Pro. No, I don’t personally own the MBP, so there’s no way I was going to remove screws and then attach a case to it. The only other solution was the PNY ThinkSafe MacBook Locking System. What it uses in place of the Kensington slot or a case screwed onto the MacBook Pro is a thin, curved, hardened stainless steel band that snakes down into the opening between the keyboard and the screen. There are actually three bands included with the MacBook Locking System — one for MacBook Air, one for MacBook Pro and one for MacBook Pro with Retina display. A small drawstring bag to wrap up the cable, lock and band is included with the system. Once that metal band is dropped down into the gap, you can close the cover of your laptop without worrying about it scratching the screen or otherwise causing issues. Being the paranoid person that I am, I covered the top of the small tab that sits between the keyboard and screen with a piece of electrical tape just in case it actually contacts the display. The lock is a typical four-digit combination lock with a small “hook” on one end that grabs a slot in the end of the metal band. Wrap the cable around something heavy and unable to be lifted, snap the hook onto the metal band and spin the combo lock, and you’re ready to leave your Mac in a hotel room unattended. Sure, I figure that a really dedicated thief could probably just bring a cable cutter and clip the cable, then worry about getting the lock off later with a little liquid nitrogen or something, but at least this keeps the amateurs from committing a crime of opportunity. Faced with an “unlockable” design, first with the MacBook Air and then with the MacBook Pro, PNY has come up with a locking solution for these thin laptops that works well. My only concern is that the flat metal “top” of the band that’s inserted between the keyboard and display might result in some abrasion of the screen or keyboard, so users may wish to cover the metal with another material like tape. Apple hired medical expert Michael O’Reilly last summer, not working solely on iWatch. That company, developed an iPhone-connected pulse monitor called the iSp02. It uses sensors to track pulse and other data and sends the information to an iPhone app. This hire, however, is not really breaking news: sources with knowledge of Apple’s work on the iWatch say that O’Reilly actually joined Apple last August. These people also say that he is not solely focused on the iWatch project; instead he is working on a range of projects. 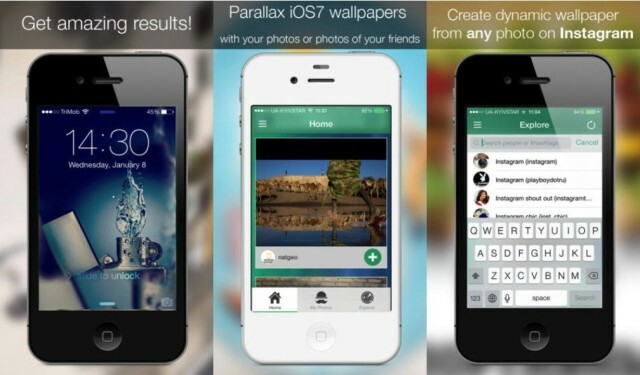 Makers of ‘Clumsy Ninja’ app acquired by Zynga for $527 million, and other news for January 31. NaturalMotion expands Zynga’s creative pipeline, accelerates our mobile growth, and brings next-generation technology and tools to Zynga that will fast-track our ability to deliver consumers more hit games. 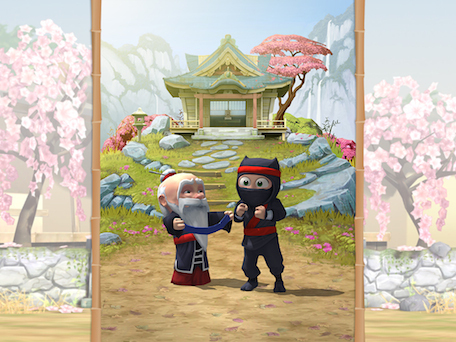 Bringing Zynga and NaturalMotion together is a bold step in the right direction at the right time. Combining NaturalMotion’s strengths with Zynga’s ability to develop breakthrough social features while sustaining live games over time, offers us a huge opportunity to redefine the gaming industry and deliver consumers blockbuster entertainment experiences. Zynga also laid off 15 percent of its workforce. The NFL has announced it is launching a new streaming-video service called NFL Now for mobile devices ahead of the 2014 season. The service will only be available in the US on Verizon due to its partnership with the NFL. In what is sure to annoy users, The New York Times iOS app now limits non-paying subscribers to 10 articles per month. However, quality content means a publication needs to make revenue through subscription fees or ads, or else there will be no article to read, so hopefully more publications will follow the NYT’s example. OWC has announced that it is now selling 32 GB and 64 GB memory upgrade kits for Apple’s new Mac Pro. The 32 GB kit costs US$449 and the 64 GB kit costs $859 — a 10 percent and 31 percent savings over Apple’s prices, respectively. Secret Compartment Hides Valuables In This Sneaky iPhone Case. 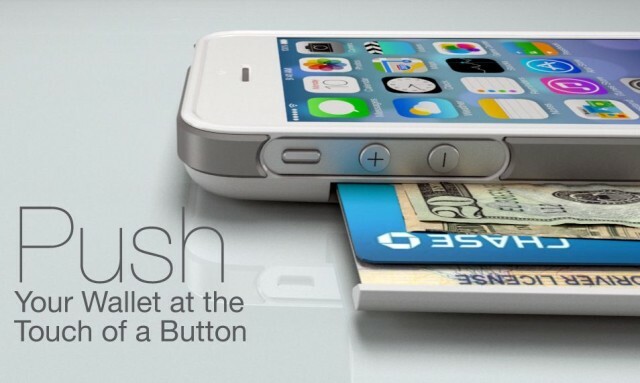 We’ve seen more than enough iPhone cases with slots for credit cards, ID or cash. But the Push wallet phone case is the first one we’ve seen with a secret compartment that hides those valuables completely out of sight. A push button (hence the name) on the back of the case pops open a secret compartment with space for three cards or two cards and a few bills. On the iPhone side, the Push 5/S/C case has just exited Kickstarter, and should be delivering any day now. There’s a plethora of aesthetic skins exists from which to choose, most of which are $39; a faux-wood version and one skinned with a somewhat garish space vista both go for $48 each. Push case designer Dapperbox has switched to Indiegogo for the Galaxy S4 version of the case, and that campaign has just kicked off; looks like you can still get in at an early-bird $29 for the less-frilly versions of the case, or go all the way up to $48 for the fancy-shmancy designs. If the campaign clears $35,000 — which is half of what it bagged for the iPhone version. Report says PayPal wants to be a part of Apple’s upcoming mobile payment system. Following reports that Apple has been pondering the idea of mobile payments utilizing the iPhone, iTunes accounts and Touch ID, it has come to light that online payment giant PayPal has been pitching Apple a potential partnership, according to a report from Re/code. According to industry sources with contacts at both Apple and PayPal, the partnership being pitched would see PayPal “white-label” many of its services to be used in an Apple mobile payment system, which could include fraud detection, back-end infrastructure or even payment processing. It is unlikely, however, that Apple would find a need to link up with PayPal at all according to the report’s sources although the possibility could not be ruled out. It seems Apple is serious about mobile payments. Although nobody yet know what for they will take, the iPhone is likely to be central to the experience with the push towards iBeacon implementation suggesting that NFC will be eschewed completely. 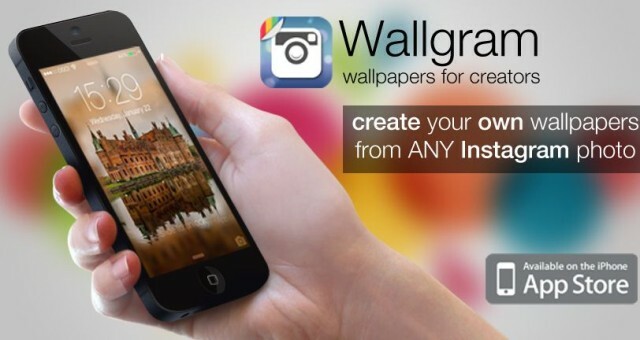 New official Paper app aims to turn Facebook into a beautiful, magazine-style experience. From the video and microsite demos at least, it appears to be a very slick, appealing and easy to use app, with full-screen photos and videos, Flipboard-style sliding tiles of posts and live previews of your own posts. What will be more interesting to see is whether the app will enable Facebook to succeed in its aim of acting as an aggregator of published content. Choose a theme like technology, and get to see the stories being shared by those beyond just your own Facebook friends, and hand-selected by Facebook editors. Facebook users have historically been resistant to third-party content in their newsfeeds, both advertising and editorial. Facebook is clearly hoping that giving users the ability to choose their own themes, and turning it into a more beautiful experience, will prove the key to changing our minds. Interestingly, Facebook CEO Mark Zuckerberg says that the company plans to launch a range of different apps, rather than trying to cram all the functionality into one. In a Bloomberg interview that’s well worth reading, Zuckerberg says that a recent three-day hackathon generated plenty of ideas. Zuckerberg says about 40 ideas emerged from the event. While he won’t share them, he says as many as half a dozen could be introduced this year under the Creative Labs umbrella and suggests one could be tailored for Facebook Groups, an often overlooked feature of the social network that allows clusters of members to communicate privately. The Paper app should be available from iTunes on 3rd February for U.S. users. There is as yet no word on when it will roll out to other countries.